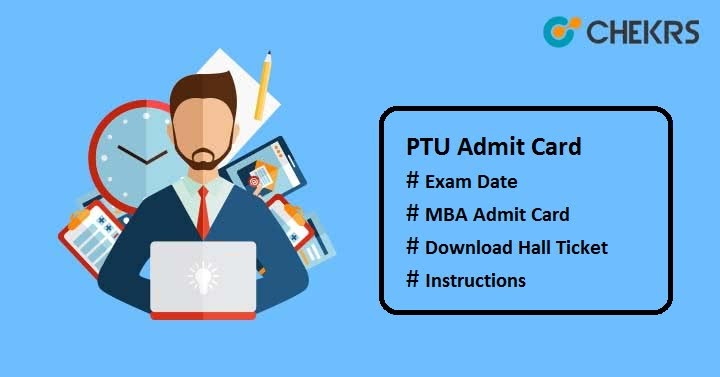 PTU Admit Card 2019: Punjab Technical University will schedule the entrance exam for admission in various courses such as MBA/ MA/ M. Phil etc. Candidates who are interested and waiting for PTU admission can apply for this exam after the notification is issued. To attend the exam, candidates will need to get their PTU Hall Ticket. All the candidates who will submit their application form along with the application fee will be only able to download their hall ticket. Here we have discussed how to download the Admit Card in an easy way. Candidates can see the tentative schedule of PTU Admission 2019 here along with the admit card release date. The weblink will be made available on official site soon to download PTU 2019 Hallticket. You need to download the same when it gets uploaded. Follow the given steps to download the admit card. Candidates need to visit the official website of IKGPTU. Go to the “Admission” section, select University Campus. It will redirect to the new page. Search for the admit card download link present there. Enter the candidate’s login details and then submit it. The “PTU Entrance Exam 2019” Admit Card will be appeared on the screen. Download it and take the 2 or more copies of printout of the admit card. No admit card will be sent to the home of any Candidates via post, it can only be downloaded in upcoming dates before Exam. It is mandatory to take the printout of PTU Entrance Exam 2019 Admit Card during the examination; otherwise you will be not permitted to sit in the exam. In case, you fail to download the admit card, you can also send a mail to the university 4 or 5 days before the exam. Read all guidelines printed on the hall ticket before appearing for the exam and adhere them. Do not write anything on the PTU 2019 Call Letter, except the signature which must be done in front of the invigilator. Aspirants are advised to preserve the admit card by the end of admission process.